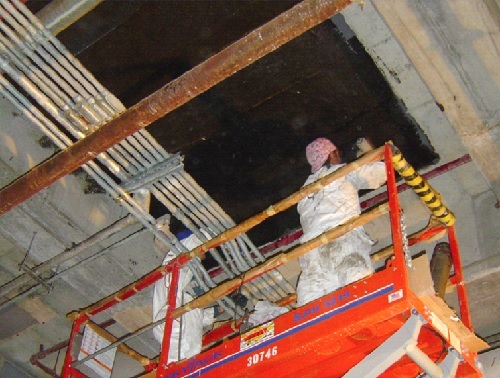 The CarbonSeal Concrete Repair System meets the tough demands of your concrete applications. 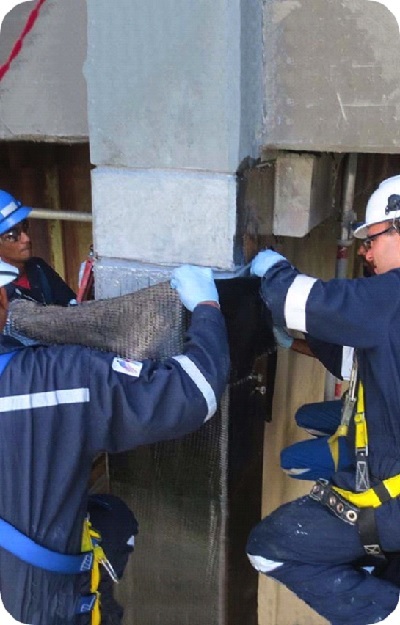 Whether it’s protecting structures exposed to aggressive environments or strengthening your damaged concrete, our systems save you significant money over traditional repairs or replacement. 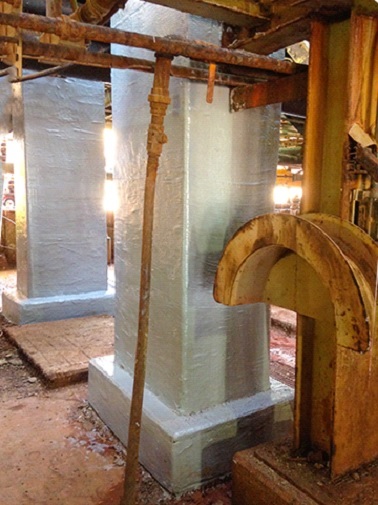 The CarbonSeal Concrete Repair Systems are designed for multiple applications, including beams, columns, walls, slabs, pedestals, silos, and secondary containment. 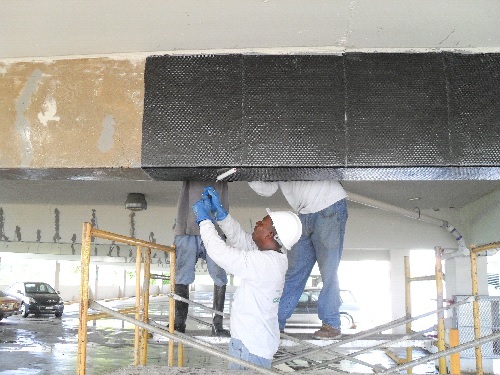 The CarbonSeal carbon fiber is lightweight, flexible and conforms to any substrate for easy installation. 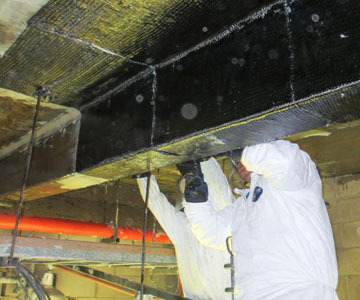 CarbonSeal Systems provide many types of strengthening, including crack confinement, flexural strengtheing, shear strengthening, seismic strengthening and protection against harsh chemicals, abrasion, heat, and fire. 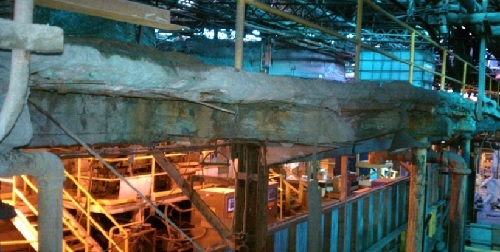 The constant exposure to vibrations, moisture and chemicals in this copper facility caused significant degradation over a century of operation. The client was faced with a $26 Million price tag to tear down and replace the structure, not to mention millions in lost production. 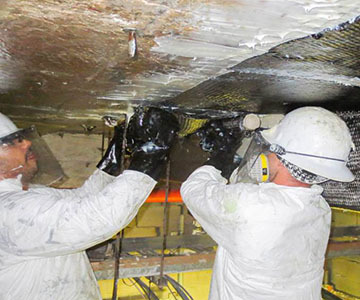 For roughly $10 Million, HJ3 and its installation partners, leveraged the benefits of CarbonSeal to revitalize the entire facility over a 5-year period, with little to no interuptions to plant operations. 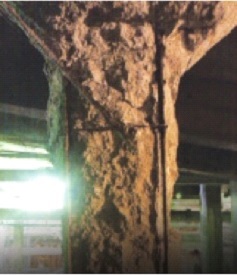 concrete and cleaning the surface and the steel.